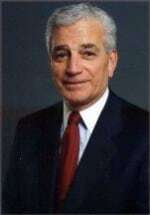 Albert F. Pennisi was admitted to practice law in New York in 1967. He has represented the Superintendent of Insurance, Liquidation Bureau in personal injury matters involving Empire Mutual, All City, Ideal Mutual, Union Indemnity, Nassau, Horizon and Cosmopolitan Insurance, among others. He has also represented Allstate Insurance Company, Royal Insurance Company, and the Lefrak Organization on self insured matters. In addition, in the last five years he has represented clients in defense cases involving lead paint poisoning. He has lectured extensively on lead poisoning since 1995. As a plaintiff and defense attorney he has represented the Lefrak Organization since 1977 and numerous real estate companies, with respect to housing matters involving evictions, warranty of habitability claims, fraud, tortious interference with contract, assault, wrongful termination and errors and omissions claims as well as environmental issues involving lead paint poisoning and/or building violations. Trusts and Estates: Mr. Pennisi was counsel to the NY State Dept of taxation and finance for estate & gift tax matters. He has extensive experience in Will contests and contested Kinship matters.